A Tom Doherty Associates book --Title page. Jerry Mitchell returns in Arctic Gambit, an explosive military thriller by New York Times bestselling author Larry Bond Jerry Mitchell, now the commodore of submarine Development Squadron Five, is dismayed when USS Toledo is reported missing in Arctic waters, close to Russian territory. The vessel is captained by his former shipmate and close friend, Lenny Berg. 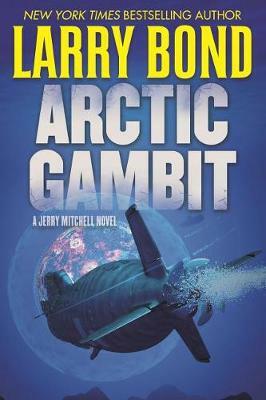 Eager to investigate, Jerry convinces the Navy to redirect one of his squadron's boats to find out what happened. It turns out Toledo was sunk just outside of Russian territorial waters by a torpedo launched from a naval mine. Even more disturbing is the discovery that Russia is building a deadly weapon. Engineers have modified the STATUS-6, a strategic nuclear-propelled, nuclear armed torpedo that is already operational, into a stealthy first strike weapon: Drakon. This new tool would allow the Russians to launch a completely covert nuclear decapitation strike on the USA. The new Russian president has plans for Europe, and is more than willing to use nuclear blackmail--or an actual attack--to keep the Americans from interfering. To avoid a Russian war in Europe, and a nuclear catastrophe at home, Mitchell must find a way to destroy the Drakon launcher before it's too late.